Do you or your company have unused building materials, hardware or related supplies? Are you interested in sharing your professional skill set with Habitat? In-kind donations of materials and services are a vital part of our mission; they help us cut costs and build more housing in our community. We accept donations of many types of building materials, supplies and tools. 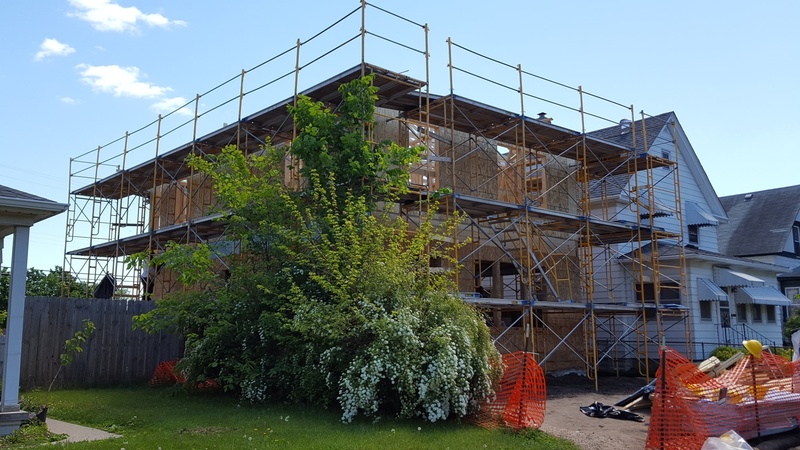 Due to bulk purchasing agreements, ongoing in-kind donor relationships and maintaining continuity and construction standards on all Habitat homes, we are often unable to utilize donated items in new home construction. Our materials and logistics staff handle these types of donations and determine their suitability to be used on site. Items that cannot be used in a new Habitat home may be donated to the ReStore. Revenue from donated items sold at the ReStore help us build more Habitat homes each year! So rest assured that your donation will be put to good use helping families in need. Twin Cities Habitat's ReStores are building materials outlets, with locations in New Brighton and Minneapolis. The ReStores sell new and gently used building materials that have been donated. The revenue raised from sales goes directly to the Habitat mission and work. The ReStores accept donations of building materials from the public, businesses and contractors. Learn more about donating to the ReStore or to view a list of products that we accept. Twin Cities Habitat utilizes volunteers for the construction work completed on our homes. However, there are a few types of services that regular volunteers are not able to perform: earthwork, sewer & water installation, concrete, plumbing, HVAC, and electrical work. Occasionally, we also need help with lead & asbestos abatement, roofing and drywall finishing. Any company or individual willing to partner with Twin Cities Habitat must be licensed, insured, and committed to completing the entire project. Contact Wanda Coss at 612-305-7160 or bids@tchabitat.org for more information about donating services. If you aren’t able to commit to a large project, consider donating your services to A Brush with Kindness (ABWK), our home repair program, that assists low-income homeowners with repairs and maintenance on their homes. ABWK regularly needs plumbers, electricians, roofers and skilled carpenters. Please e-mail sean.koebele@tchabitat.org for more information. Questions about In-Kind? Contact Us.